The prototype development also included to build an SNMP Agent for Checkpoint FW-1 firewall software. 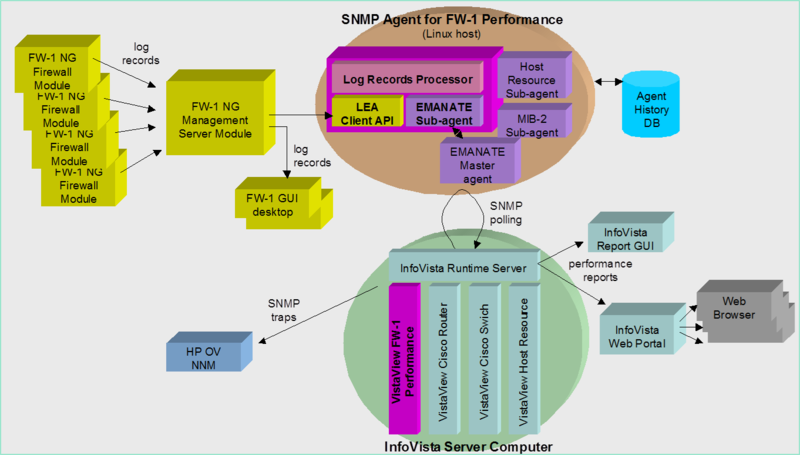 The SNMP Agent for Checkpoint FW-1 firewall software is based on the EMANATE technology. The SNMP Agent for Checkpoint uses OPSEC LEA and CPMI.